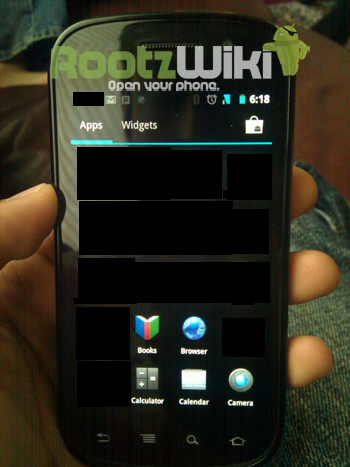 The new Android Ice Cream Sandwich has been leaked to a set of Android fan sites that show a Samsung Nexus S device hosting this new operating system. Ice Cream Sandwich is believed to be able to link the smartphone and the tablet worlds together. Currently they both use unique versions of Android, Gingerbread for headsets and Honeycomb for tablets. A source has delivered a set of photos giving the public a view of this new operating system. 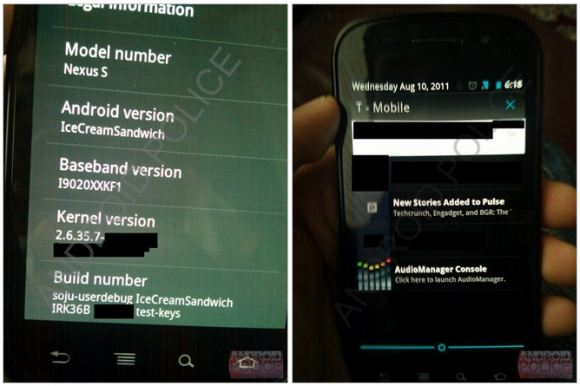 We can clearly see that these photos are from a Samsung Nexus handset but it cannot be ascertained whether they are an Ice Cream Sandwich Beta build. Here you see that apps are crowned by a set of tabs that show Apps and Widgets separate with an Android Marketplace link in the right hand corner. 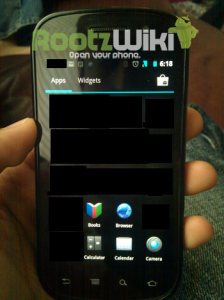 The icons resemble those on the Gingerbread on Nexus S and the dock for app shortcuts are semitransparent with a circle around the fourth app in the set.